Backlinks have always been an important part of every SEO strategy. In the past it was simple: the more links, the higher your PageRank. This isn’t the case anymore as Google makes regular updates and improves their algorithm. These types of links are still important, and they always will be, but with a new focus on the user experience, Google is looking deeper into what these links are, where they come from, and whether or not they matter to the reader. Today I’ll show you some link-building strategies that contribute to a natural and varied profile for your site. Half of the battle for a safe and natural backlink profile comes from avoiding some major mistakes along the way. It’s harder to fix a broken profile than it is to build a proper one from the ground up. Establishing this will put you on the path to a successful SEO strategy. Ultimately, every site should strive for a mixture of SEO and promotional link building to create a profile that is natural and diverse. ● Don’t try to hire a link-building company that promises a large number of links for cheap. There’s probably a voice in your head telling you it’s too good to be true, and it’s right. These links come from low-quality sources which can kill your profile. ● Do not buy links directly. This is a direct violation of Google’s policy and will earn you a nasty penalty. ● Try to limit the times that you exchange one link for another with a fellow company. It’s alright occasionally when the links are relevant, but if too many links reflect each other, Google will know. ● Avoid directories unless they are very specific to your niche. Many of these can earn your low-quality backlinks. ● Don’t repeat your anchor text constantly. Google doesn’t link to see the same “signature” or text being used for every backlink. Which Sites Should You Focus On? You know what not to look for in your backlinks, but now it’s time to seek out high-quality sites. Your backlink profile should have a strong focus on diversity. You want to have a variety of sites pointing back to yours. The highest quality sites tend to be the ones that end in .gov or .edu. These are difficult to receive backlinks from, but it’s worth the time and energy as long as they are relevant to your readers. Focus on websites that fall into your niche. You always provide your readers with relevant links, so make sure that the backlinks you are receiving point to content that is useful to those readers as well. ● Vary Your Anchor Text – Use descriptive text that tells the reader where they’re going. Highlight keywords that match the content on the page you’re linking to. Try incorporated a branded link as well to spice things up, just don’t repeat constantly. ● Choose Sites with Varying Pagerank – In the interest of appearing natural, don’t fill your profile solely with high PR sites. As long as the quality is good, they don’t need to top the charts every time. This will help keep things balanced. ● Link to Multiple Pages – You may consider driving every backlink straight to your homepage, but don’t do that. Create links that point to inner pages as well. Remember though: they need to be relevant. ● Don’t be Afraid of NoFollow – While it’s true that Nofollow links don’t add any “link juice” to your SEO, they are still important for a balanced profile. They also create opportunities for referral traffic to your site. If you write a post on something current and new, a press release can be a great way to promote it and spread the word. Crafting a press release that is short and enticing will convince others to click the backlink to your site to read more. The same goes with social media like Facebook, LinkedIn, and Twitter. These sites only offer Nofollow backlinks, but the sheer amount of potential for promoting your site is enough to warrant your attention. Our first choice is one that I personally love. Guest posting on other blogs not only helps you grow your network, but it also allows you to craft your own content and earn a backlink to your site of your choosing. Find other blogs in your niche and reach out to them for guest posting opportunities. You’ll find that many of them are extremely receptive to the idea. They receive great new content, and you get exposure and a backlink to your site. When you’re discussing a topic in a forum, or commenting on a post, you can use that as an opportunity to input a backlink to your site. Be careful with this, though, because you can be flagged for spam if you’re too pushy. That being said, if you read an amazing post and you wrote something similar, mention that in the comments and invite the author/readers to come check out your post on that topic via a link to the page. All of this may seem like an invisible web that you can only hope is structured properly, but you don’t have to wonder anymore. By using Majestic, you can find out exactly which backlinks are pointing to your website, and you can find out what influencers your competitors have been getting backlinks from. It’s the ultimate tool for examining your own profile, and the profiles of your competition. This only scratches the surface of what the tool is capable of, but it should be on your radar from the second you start using these tips and strategies to build a backlink profile that benefits your SEO and your readers alike. Using these tips and strategies, you will build a strong and balanced backlink profile. Remember to monitor the frequency of new links as you implement these concepts. Gaining hundreds of links, regardless of quality, is going to raise red flags. There’s no set number for how many links you can have in a given amount of time, but keep this in mind. Remember: natural, diverse, and high-quality are the kinds of links you want in your profile. 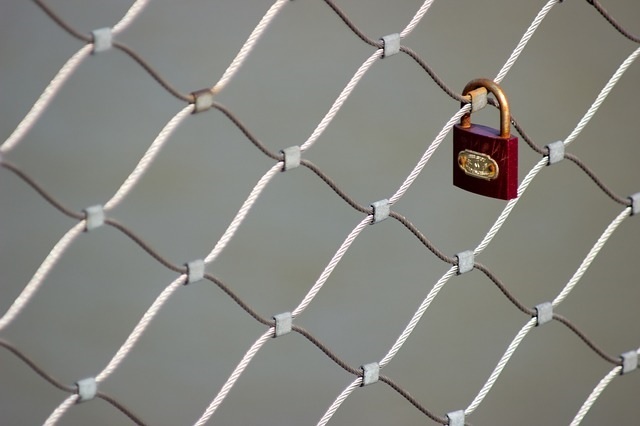 How do you keep your backlink profile in check? What tips would you suggest? Share your thoughts in the comments below! Matt Banner specializes in digital marketing and teaching others how to start a blog and grow one into a successful business. You can follow him on twitter @blastyourblog. I don’t understand why you mention Pagerank in this article…. ?